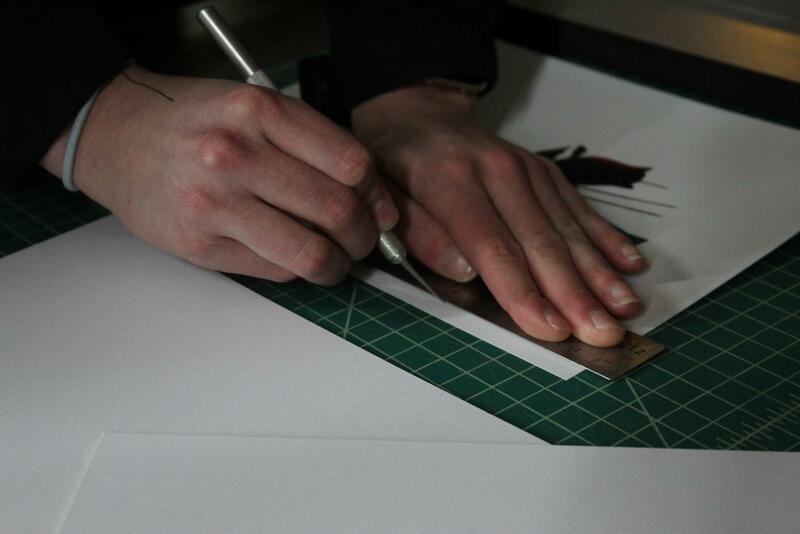 A photo student prepares their piece to be displayed at ArtFest. Photos by Audrey Whitaker '19. Although ArtFest has come and gone, the opportunities for art students to showcase and share their work are only just beginning. 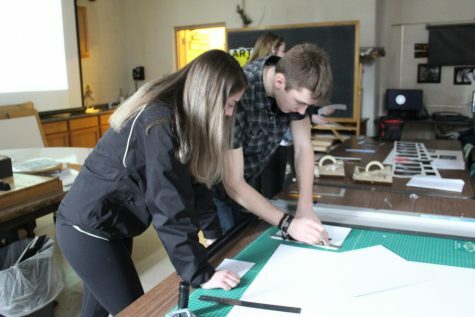 According to art teachers Thomas Szmrecsanyi and Emily Wolfe, the art department works hard to provide students with chances to share their art through things like the Legacy Project, Scholastic Awards and the National Art Honor Society, to name a few. Photo students work in class to prepare their art for ArtFest. Photos by Audrey Whitaker ’19. Because art tends to be a more solitary activity with less opportunity to be shared as with activities such as sports or performing arts, ensuring students’ talent is still showcased is one challenge the art department faces, according to Szmrescsanyi. Since it is one of the only large-scale opportunities for students to share their artwork with peers, art students, like Anna Abundis ’20, say ArtFest becomes that much more important. Szmrescsanyi agreed, adding that the length of set-up for large-scale art shows inhibits the amount of opportunities the department can offer. According to Wolfe, the art students at South are proud of their artwork and love to share it with others. Some art students, like Abundis, have turned to social media, like Instagram, as an additional platform to share work with their peers. Other students utilize opportunities in the broader community that are shared through the art department, such as the Grosse Pointe Art Center and the Johnstone and Johnstone art show, according to Szmrescsanyi. “The art students at South are proud of their artwork and love to share it with others,” Wolfe said. According to Wolfe, there are also more informal ways that students share work with their peers. “(Art students) talk to their peers about their work, show them pieces they are proud of, involve them in the creation of the work and invite them to the art room to see what they are working on,” Wolfe said. Abundis expressed the importance of always recognize the talents of the art students at South, regardless of whether or not ArtFest is going on.